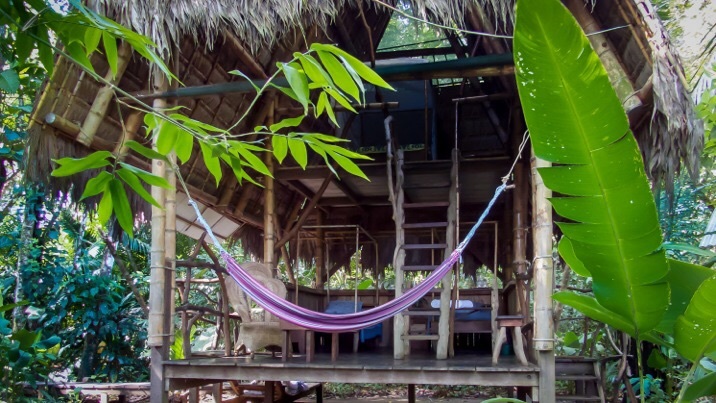 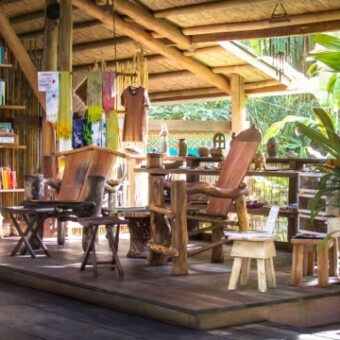 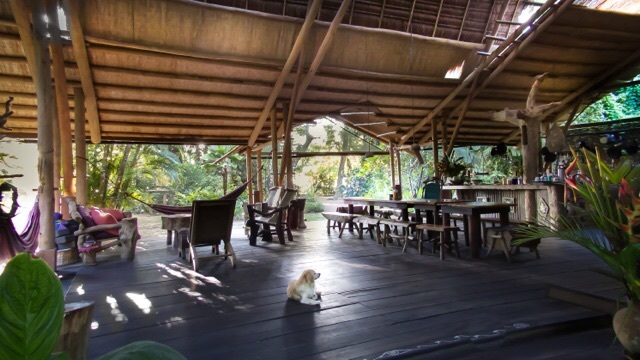 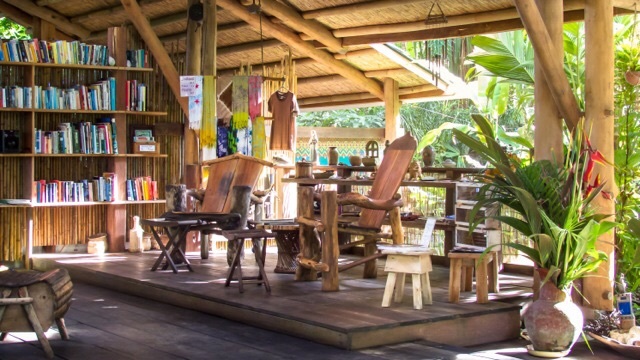 The new barefoot luxury is refined: We call it "simplicity"...Ojo del Mar ("eye of the sea"), is a small, eco friendly secluded retreat nestled between the pristine beaches and the tropical rainforest in the wilds of Costa Rica's Osa Peninsula. 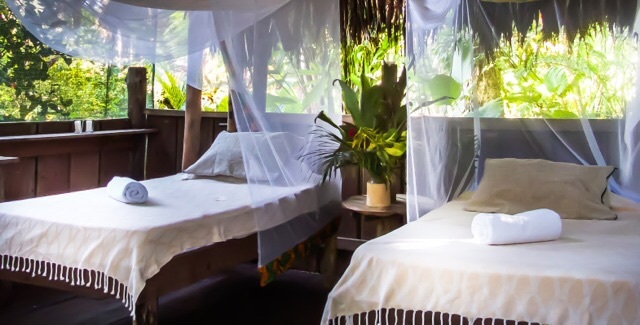 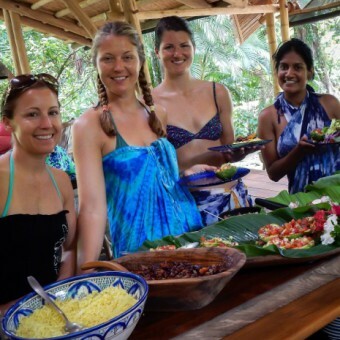 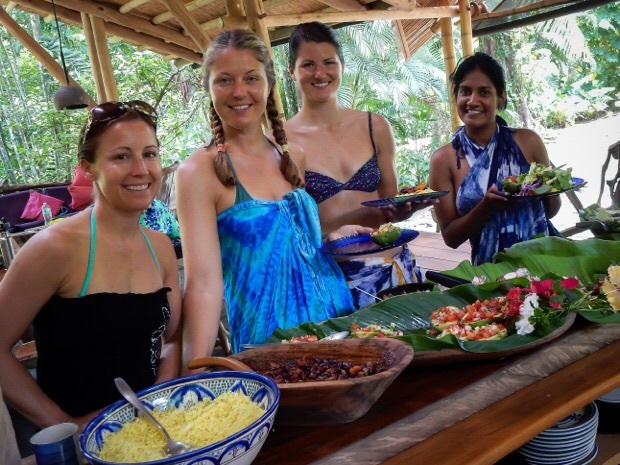 ...Ojo del Mar ("eye of the sea"), is a small, eco friendly secluded retreat nestled between the pristine beaches and the tropical rainforest in the wilds of Costa Rica's Osa Peninsula. 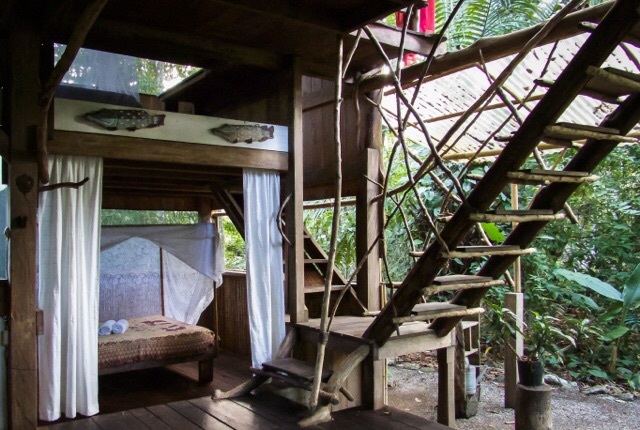 As National Geographic says, the Osa is the "Last Great Peninsula," still untouched by the ravages of civilization, with over 350 species of birds, 115 species of reptiles, 750 species of trees and 10,000 species of insects...along with the 100,000 acre fantastic Corcovado National Park. 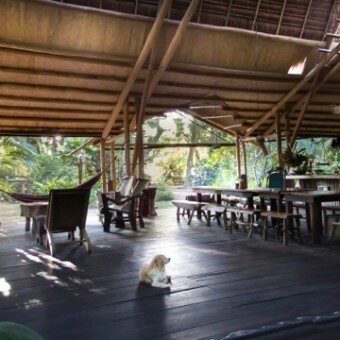 This is a gorgeous and remote spot: we cherish the Osa. 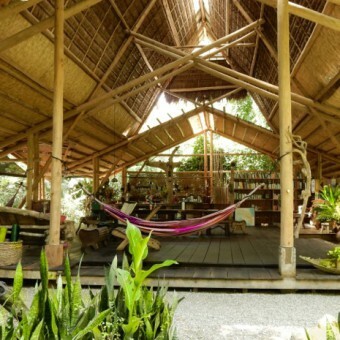 It's a place to reconnect to the essential. 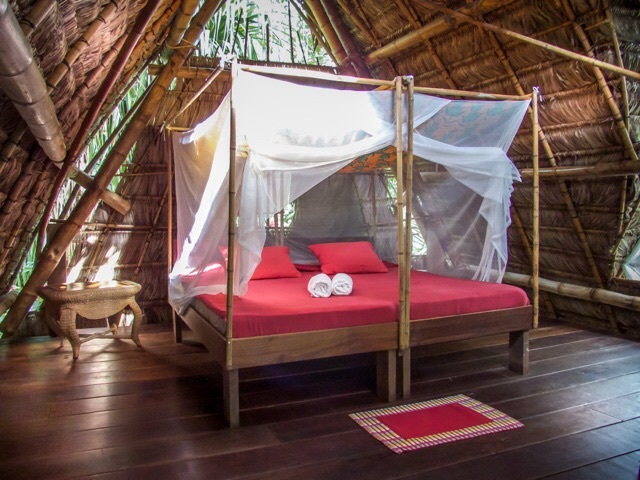 Ojo del Mar has capacious spaces in its main "Casa Grande" (restaurant) with hardwood floors and a thatched roof bamboo construction, solar powered, all built by hand without power tools. 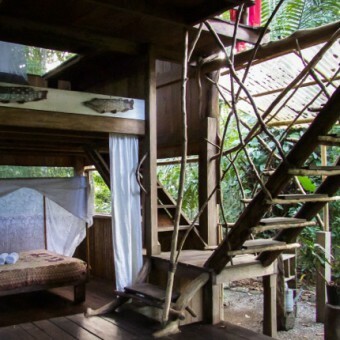 Ojo del Mar's building concept follows a calling that is environmentally and socially responsible.Ojo del Mar's 6 rustic, airy, elevated cabins are as close to nature as you can get. 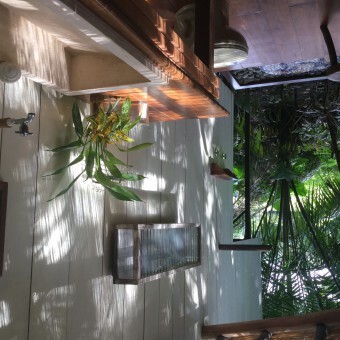 They are privately set among beautiful tropical gardens and trails on the property allow further exploration of tropical fruits and flowers and of the colorful wildlife species. 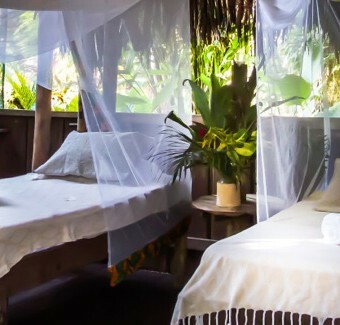 All Cabinas have orthopedic beds, some have double beds, others have two twin beds that make into deluxe kings; all come with mosquito netting (even bugs are minimal here in paradise), cotton sheets and plenty of pillows, towels, biodegradable soaps, candles, flowers, etc.. Each cabina has its own mosaic-floored outdoor garden shower and sink. 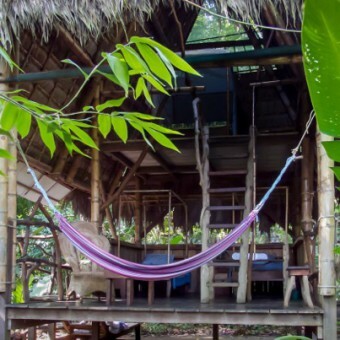 Most come with a private bathroom, two cabinas have their own bathroom under the same roof. 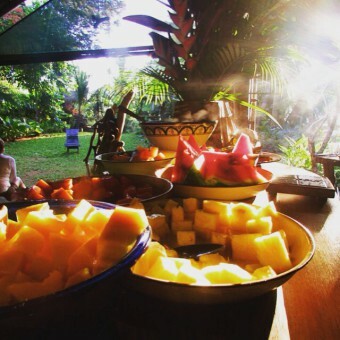 A fabulous breakfast is included in the price of your stay, and lunch and dinner are available at our restaurant in the “Casa Grande” as well. 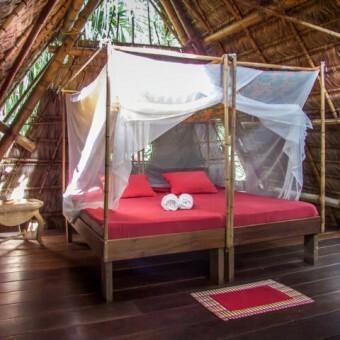 We also offer two small locally hand crafted Bamboo Tiki tents for 2 people with either a double or 2 twin beds. 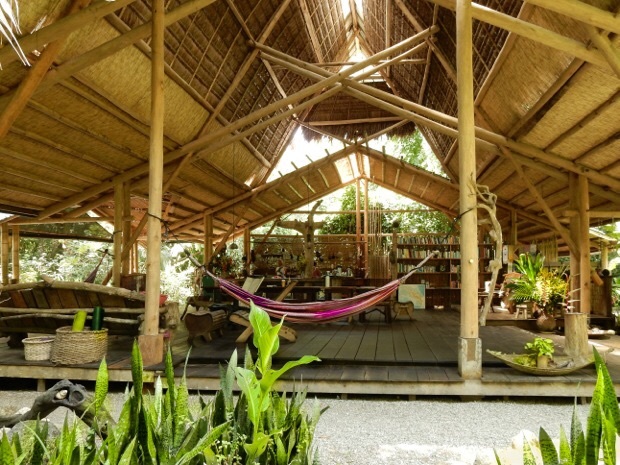 The tents are spacious, close to the ocean on wooden platforms. 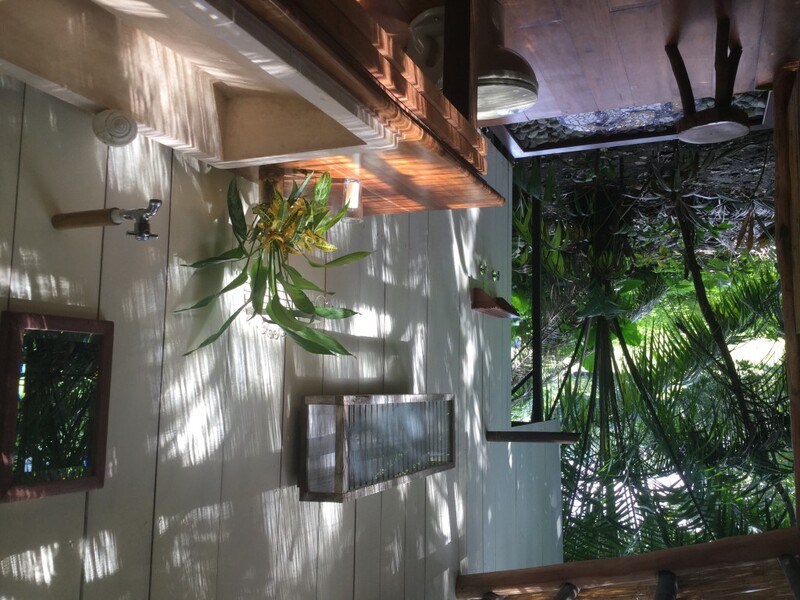 They have a private outdoor shower, but you will be sharing a communal bathhouse with all facilities.